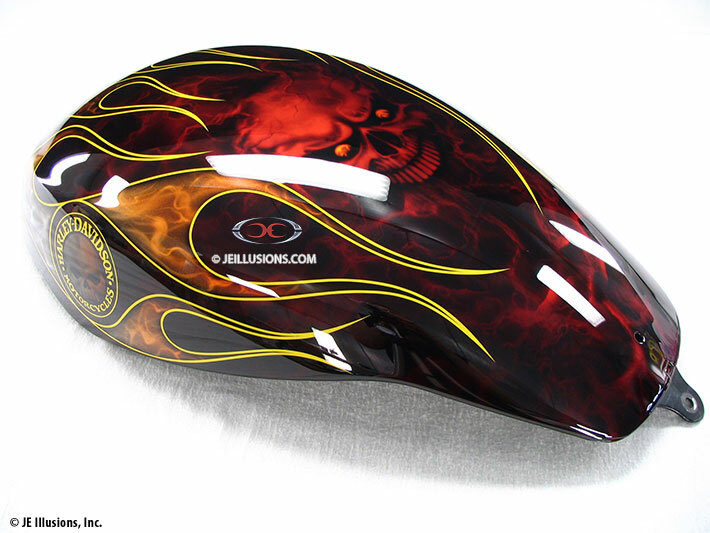 This custom paint job for a Harley-Davidson V-Rod offers a unique twist on the classic flames theme! A black base provides the backdrop for a dense signature smoked marble effect in red kandy. The flame layout fades from white to yellow, also in a signature smoked marble. The flames are pinstriped in sunburst yellow to provide a bold contrast. 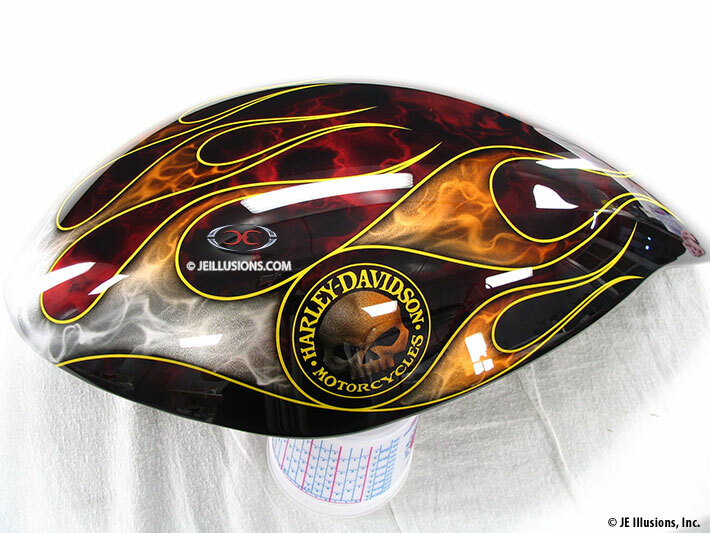 Finally, the circular Harley-Davidson skull logo is echoed in a freehand airbrush version of the skull on the top of the airbox cover. A second set was done with a custom monkey mural on the tank to personalize the job.